Misfit, the company behind the Shine activity tracker (our pick last year for the best tracker for those who swim), has officially unveiled its second-ever product. Meet the Misfit Flash. It’s a full-featured waterproof sleep and fitness tracker with a killer price tag: $49.99. The Misfit Flash connects to your Android or iOS smartphone using Bluetooth. The Flash tracks steps, distance and calories burned for all sorts of activities via its 3-axis accelerometer, from running to cycling to active sports. You can monitor this data through the included app, or by simply pressing the front face of the device to get a quick check of your progress toward your daily goals. You can even wear the device to bed if you choose, allowing it to track your sleep quality, too. 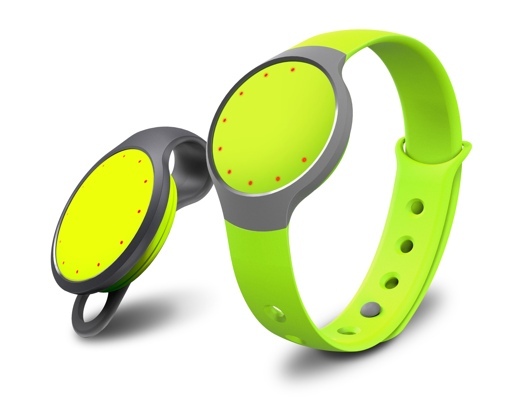 The Flash can be worn on your wrist like the Jawbone UP or Fitbit Flex using its included strap. Or, you can use the included clip to simply attach Flash to your pants or shirt, a good option for those of us who detest that rash-causing sweaty wristband feeling. Clipping a tracker to your clothes may not be optimal for accuracy, but I find that I'm more willing to wear one during everyday activity if I can hide it on myself. One feature I really like about the Misfit Flash is the battery. The tracker uses a standard CR2032 coin cell – a watch battery – that requires replacement once every four months or so. It’s certainly less of a hassle to deal with than charging the device every night. These batteries retail for less than $1 each at Amazon, so they're not a major added expense. Both Apple and Google have promised huge pushes towards fitness tracking this year on their smartphones – Apple with its new Health tracker on the iPhone 6 and in iOS 8; and Google with its competing fitness data aggregator. You’ll need a tracker to actually use the features, of course, and that’s why I like the Flash. It’s an inexpensive way to get started. I mean, let’s be honest – $100 or $200 is a lot to spend on a new technology that just might not be for you. The $49.99 Misfit Flash will be available in seven different colors at major retailers like Best Buy, Target, Amazon and Walmart this October. You can pre-order the device now at misfit.com/flash. Before you do, however, you may want to read this guide to learn what type of activity tracker is best for your lifestyle. Hi Mr. Allen (Your last name is Allen and you’re writing about “The Flash” haha)! I’m going to buy one this week! I thought of getting the Shine, but the price of the Flash is a winner for me. Plus, it is going to be my first fitness tracker/band. It would be a way for me to test this wearable technology.